This Air Jordan 11 color way received yet another re-retro in 2012 along with many, many restocks following after the release. 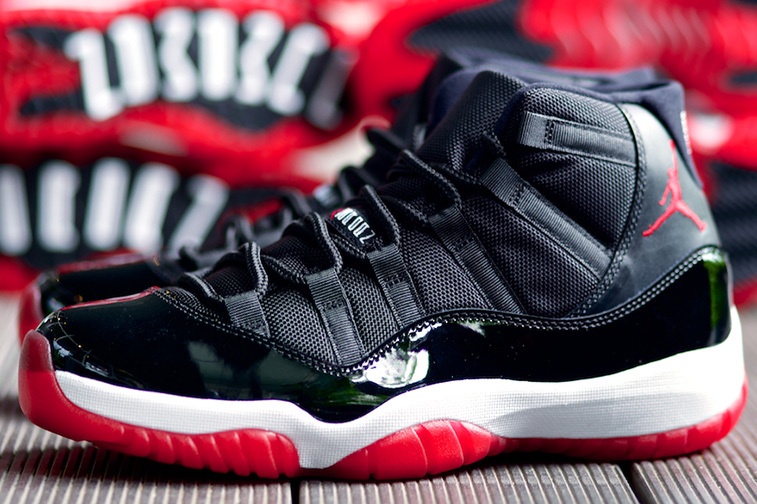 Sporting the OG Black/Red color way, the Bred AJ11 features the common Black patent leather. Black is also applied onto the mesh upper, lace holders, liner and heel. A white midsole provides contrast while Red accents on the tongue label, Jumpman, and outsole finish off this sneaker.